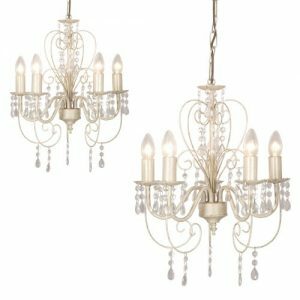 These are elegant traditional vintage chandeliers. These French influenced 5 way ceiling fittings are adorned with acrylic droplets. 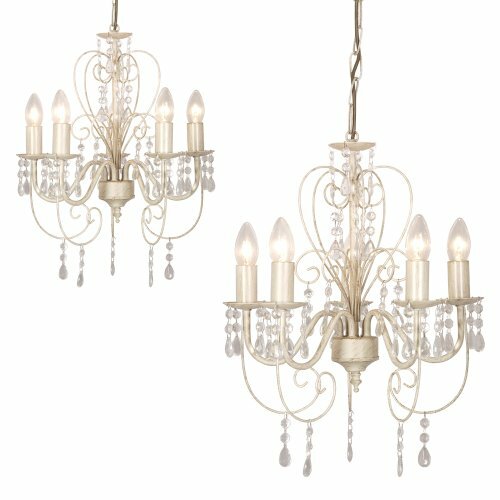 These stunning chandeliers look great and add to any hallway or dining room. They come in an astonishing distressed white finish. 60w SES candle bulbs are required.